It’s no longer the big beating the small, but the fast beating the slow. The new Amazon plugins integrates Linx with the AWS ecosystem, providing a reliable low-code connection between AWS and commonly used programmatic functions, services, external applications and databases defined in your processes. 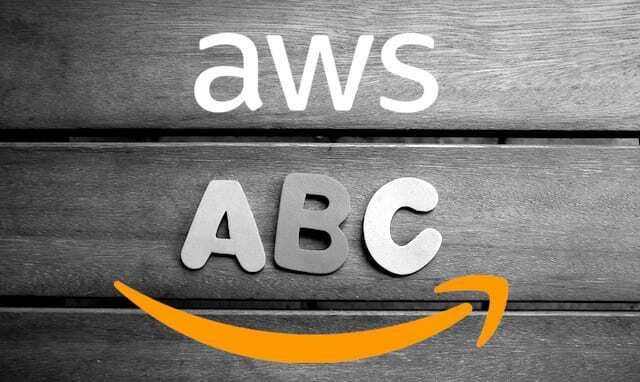 Simply put, the AWS plugins offer a significant opportunity to improve a developer’s workflow by making the use of AWS APIs simpler, faster and easier.. The result is an easily scalable integration tool to move, manage, govern and orchestrate data across applications and systems — on-premise or in the cloud. Amazon are adding on average 3 features a day to their portfolio of services (do they ever sleep?). Amazon don’t think that what you did yesterday will be sufficient for tomorrow. And neither should you. Like Uber, Spotify and others, modern IT organisations are adopting bold, new combinations of already existing components and services that simultaneously unlock heightened levels of value and reduce costs. Products such as Linx offer high-performance, secure, out-of-the-box plugins for faster integration. Although this may sound like a simple time-saver, the ability to future-proof connections and adapt your business processes rapidly amid fast-changing IT environments, is the long term gain. Ask any IT pro for a their one golden tip to making it, and you’re likely to get the same answer: Eliminate manual work and limit error-prone updates to critical systems. Linx equips you to build a responsive organization by accessing several of the AWS service APIs, your own custom-created APIs, nearly any database or legacy systems in a simple drag and drop interface. With all these essential integration capabilities on one platform – and the ability to automate them too – you can easily improve your business processes without sacrificing speed or agility or upskilling. It’s a simple case of…..
You can get away with slow, tedious integration if you’re just building one simple application. But what for example, if you need to ship dozens of API-driven applications? And you’re on a deadline. And it’s just you and Dave the Developer over there? Building one-off APIs and a custom backend for each and every new application is simply unsustainable. Projects typically have new requirements that were not anticipated by the existing REST APIs that are now in production. You could expand the scope of your existing API services, but they are already in production. Sound familiar? With Linx you can quickly re-use common components and modules to accelerate design and deployment of your AWS operations. Low code allows for easy reuse and the resulting faster development cycle. Imagine wrapping reusable components in a service that can be deployed and operated separately from the rest of your systems and applications. Sounds good doesn’t it? All this talk of the cloud, but yet to incorporate AWS into your business? We’re not surprised. Businesses simply don’t have the time to deep dive into new technologies; and the process to manage and integrate them, can be extremely complicated. Linx removes the complexity and the traditional challenges of integration projects. Low code design eliminates the need for long-running, costly custom development efforts, speeds up project timelines, reduces IT labor costs. But most of all it makes development process far more predictable (and efficient) by keeping the focus on your business logic rather than, for example labouring over point-to-point coding. The result is that Linx helps organizations adopt AWS services far quicker, while continuing to operate business-as-usual IT demands in a hybrid environment that includes on-premise data and systems. Building, testing and prototyping process automations can be included in your software development and developer operations, bringing the AWS cloud ecosystem into your current technology stack without the associated risks of projects past. Feeling inspired yet? Download the latest version or simply check out these simple AWS samples to get started.